Choy Lin Mok has almost 20 years of experience in the broadcast industry, first joining the Television Corporation of Singapore in 1993 as a producer after being awarded an undergraduate scholarship to study English Literature at Cambridge University. In 1999, she left to pursue a master degree in international relations at Johns Hopkins University. In 2001, she joined the National Geographic Channel as Director of Regional Production and Executive Producer, working with Asia’s top filmmakers to produce award-winning documentaries for the channel. 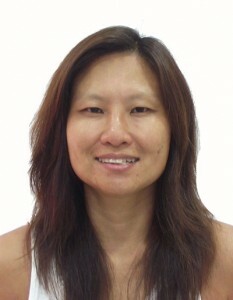 In 2012, Choy Lin joined Channel News Asia as Vice-President of Programming and Promotions. It’s challenging our most sacred notions of birth and parenting. Advances in medical science mean we can now control the most fundamental process of life. Infertility is increasing in the West as women delay motherhood and male fertility drops. But commercial surrogacy makes it possible for childless couples to build families using total strangers half a world away, connected only by a legal contract and a monetary fee. It’s turning India’s poverty-stricken women into the womb of the world. Is this salvation… or the ultimate corruption of life’s greatest joy? Join renowned actress Michelle Yeoh, star of “Crouching Tiger, Hidden Dragon”, on a very personal journey back home to Malaysia for an intimate look at a special creature. Orangutans, whose name means “persons of the forest”, are among the world’s most endangered primates, and they are the only great ape found in Asia. Once ranging from Chinato Java, orangutans now only survive on the islands of Sumatra and Borneo. But as Michelle finds out, many people, from local Malaysians to international conservationists, devote their lives to the battle to save them from extinction. It is a battle they might just be winning. For the first time ever, motion capture cameras and spectacular 3D imagery peel back the mystery and reveal the secret science behind Malaysia’s deadly martial art of Silat. We follow American Joel Champ, the highest ranking Westerner in Silat Gayong, as he embarks on a journey to Silat’s birthplace. His mission: to battle the top Silat masters in Malaysia and earn the third stripe on his black belt. We go inside Afghanistan to one of the most active front line combat hospitals in the world. Salerno Hospital is only 13 miles from the border with Pakistan and lies directly in the pathway of insurgents. Run by the US Military, this is the first stop for many of the war’s casualties. Inside Afghan ER captures the intensity of round the clock mayhem as doctors, nurses and medics battle to save lives. Witness the thousand year old tradition of camel racing enter the realm of science fiction when Qatar decides to silence international criticism by banning the use of child jockeys and introducing robots instead. It’s a challenge that begins with coaxing cantankerous camels to accept a metallic rider and culminates with camel owners struggling to embrace the new technology. Can robots truly win the hearts and imagination of a camel racing crazy public? Are wealthy sheikhs willing to look beyond tradition and spearhead cutting edge robotic science? Follow a unique experiment which seeks to end the exploitation of children in camel racing. Many believe stem cells will be the future of medicine…but in Asia, the future is already here. Patients from the West are flying to Asia for stem cell treatments for spinal cord injuries, heart disease and brain disorders. Many do so against their doctor’s advice, paying tens of thousands of dollars for a cure that is untried and untested. Will this backfire on the doctors and patients who have rushed ahead or is this the new panacea in medical science? Follow one filmmaker’s intimate journey as he documents one family of wild dogs in Nilgiri Forest Reserve in the Western Ghats of Southern India. In the social hierarchy of the pack, breeding is accomplished by a single pair of socially dominant animals – the alpha male and alpha female – while the entire pack participates in raising the litter. Five years in the making, Wild Dog Dairies captures breath-taking visuals of birth, death and predation. 600 years ago, the world’s oceans were ruled by a fleet of colossal ships from China, with Admiral Zheng He as their commander. It was the biggest naval expedition ever mounted and sailed as far as India, Africa and the Middle East. In this exclusive two-part special, National Geographic photographer Michael Yamashita follows the trail of the Zheng He and explores the visionary world of 15th century China. Straddling one of the world’s most crowded shipping lanes, Singapore’s port is the busiest on earth, a megastructure through which passes nearly a quarter of the world’s cargo and half the world’s supply of oil, moving at the pace of one ship every three minutes. But the world’s busiest port sits on sea lanes infested with pirates and now faces the growing threat of terrorists, who could turn fuel carriers into floating bombs. 600 fighters, 300 matches, one champion! Once outlawed, the underground activity of beetle fighting is now making a comeback in the Golden Triangle of Thailand. We follow two rival beetle trainers as they prepare their tiny warriors for victory. In a city where there are just ten life support ambulances for 10 million people, Thais have come up with their own solution to the appalling lack of government paramedical services. We follow the Body Snatchers, a group of unpaid, untrained volunteers who pick up the dead and the dying on the streets ofBangkok. Fact of fiction, did Marco Polo ever make it to China? Using Marco Polo’s book-The Description of the World-as a travel guide, National Geographic photographer Michael Yamashita retraces the footsteps of the great explorer and gathers new evidence on the mystery surrounding Marco Polo’s adventures in China.